A founder’s skill is knowing how to recognize new patterns and to pivot on a dime. At times the pattern is noise, and the vision turns out to be a hallucination. Knowing how to sort between vision and hallucination can avoid chaos inside your startup. Yuri, one of my ex students started a big-data analytics company last year. He turned his PhD thesis into a killer product, got it funded and now was CEO of a company of 30. It was great to watch him embrace the spirit and practice of customer development. He was constantly in front of customers, listening, selling, installing and learning. It seemed like once a week Yuri would come back from a customer meeting brimming with new insights. “We’re building the wrong product!” he’d declare. “We got to pivot now.” Tossing their agile development process and at times their entire business model in the air, the company would go into fire-drill mode and engineering would start working on whatever his latest insight was. As a consequence everyone was afraid to make a decision because they couldn’t guess what Yuri wanted to do that week. Some of the engineers figuring if the founder was declaring they were toast in 90 days were updating their resumes. The company already was gaining a reputation as one without a coherent strategy. I cringed when I saw this – it sounded like me early in my career. I would come back from customer visits convinced that what I just learned was the “real” solution to the company’s future and havoc would reign. Unfortunately for Yuri’s company, while there were three other founders, Yuri was the CEO and none of them had the stature to tell him that his “insights” were damaging his company. I offered that at Epiphany, my partner Ben’s office was the first place I would go when I thought I had new “insights.” And we’d run them to the ground for days before we’d even let anyone else know. Most of the time after a few days of thought, these insights were really not much better than the current course the company was on. Or by then other customers would tell us something quite different. And the rule was we weren’t changing anything about the product architecture until Ben and I agreed. Which required Ben hearing from the same customers I did. 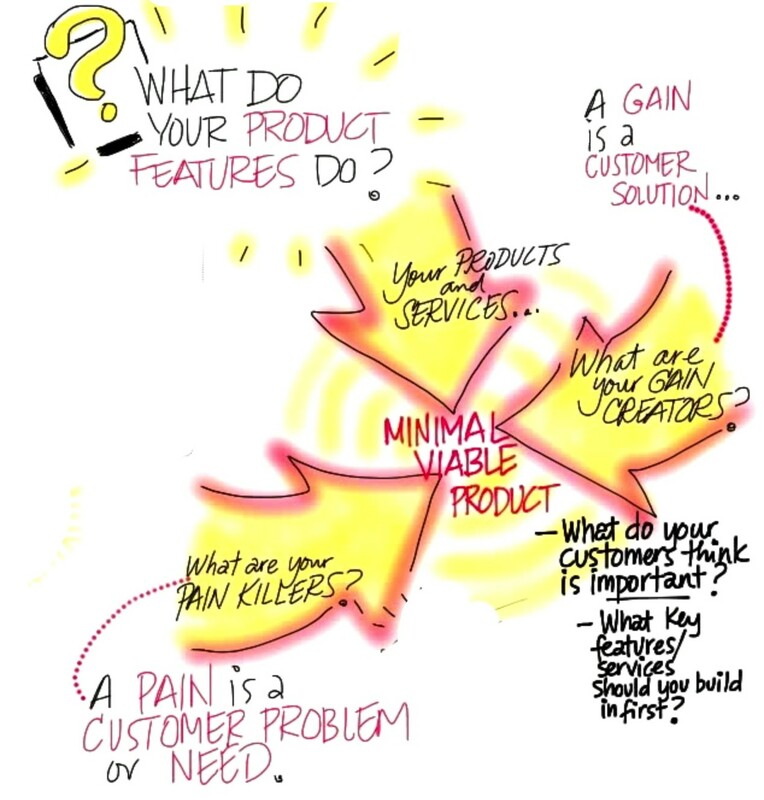 Second, that he needed to recognize that changing the value proposition – the features of the products/services he was offering – was a lot more traumatic for a startup than changing other parts of the business model. Yuri sat quietly for awhile. I wasn’t sure he had heard a thing I said, until he said “Wait 72 hours? I can do that. Now can I call you when I have a hot new idea? The guidelines make complete sense! In India there is a phrase they use in Marathi (a language spoken in the state of Maharashtra, the state in which Mumbai is located) for what you just described: “Aati ghaee, saankataat jayee”, meaning when you rush (“Aati ghaee”) into something without thinking, you are going to fall into trouble (“saankataat jayee”). I recently started reading your book: “The Startup Owner’s Manual”, and I really really wish I would have had this book when I started out! Hiten Shah recommended the “Customer Development” approach to me, and then from there I found your book. 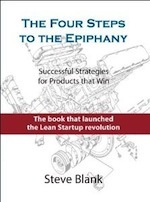 Thank you for writing such an amazing book, helping startups do things the right way! Also thank you so much for continuing to write insightful articles! “Find a Brainstorm Buddy”. Great post, Steve. Brainstorm buddies are worth their weight in gold. It takes a special person who will listen and return insight/agreement/rebuttal. Brainstorm Buddy may not always remember the next week what you talked about, but that’s ok. Considering if (like me) you have hundreds of strategies to assess and outside forces are tossing opportunities and challenges at you every day. Brainstorm Buddies need to be reimbursed. Often returning the favor of listening is enough, especially if you have something to offer in return, but in other cases a sign of appreciation (money, participation, gift) is in order. I have 12 or so Brainstorm Buddies at any given time that are available for their expertise or sometimes to test their reaction to an idea or possible pivot. Some I can call daily, some are monthly, some are yearly Brainstorm Buddies. Like your crew, Brainstorm Buddies can wear out if they feel like their time is better spent doing something else. To have a Brainstorm Buddy is to BE a Brainstorm Buddy. If you ask for time, you’ve gotta give some back. You’ll probably realize how crazy some people’s ideas sound and image that’s how you sound. I love my Brainstorm Buddies. They’ve saved my business from crew mutiny many times over. My crew loves my Brainstorm Buddies more than I do. Take a Brainstorm Buddy to a ballgame and or call them just to say “how are you?” .. they’ll appreciate that. Let’s declare a Brainstorm Buddy Thankyou Day! Often it can be difficult to put theory into practice. Knowing what is a pivot and when to do so in theory is one thing but in practice it is another. This is why I love these types of posts. It is extremely practical and illustrates via a real world example. I realise now that I am guilty of what Yuri was doing. I am going to ponder on this and see what changes I can make to improve on my strategy. Steve, that is *shocking*. I’m glad you said it clearly in those words, because I’ve certainly been believing the exact opposite. I’m trying to stop the needless and constant bad advice of “lets churn through every possible feature without understanding the entire business model.” Doing so is a crutch. 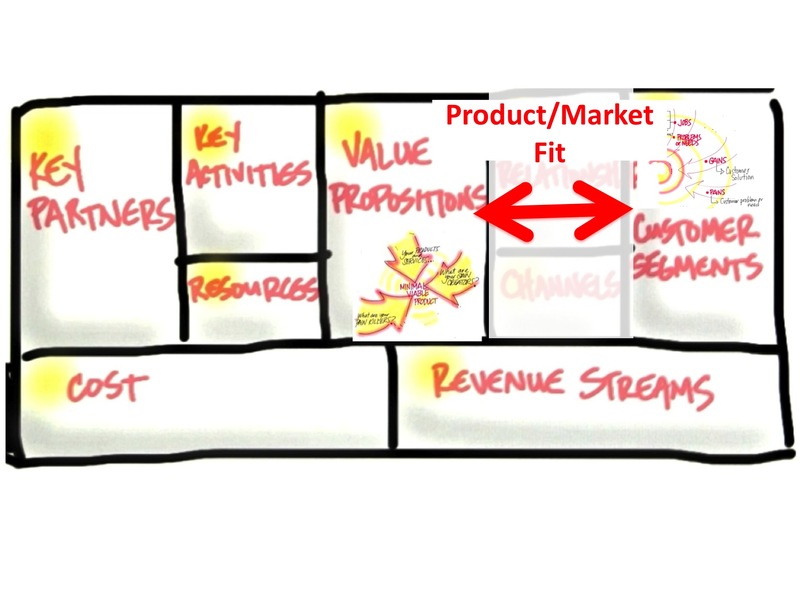 Tell me you understand your entire business model and that you thought through the rest of the canvas. Then start iterating the product. That advice mostly comes from the fact that most startups don’t have any semblance of a business model. So, the only thing to tweak is the product in search of blowing up user “engagement” numbers. But even with a business model, the product needs to evolve based on customer engagement and feedback, which sometimes takes us to a place we would have never imagined in our vision. I don’t think I understand your stance on when to put your visionary foot down and when to listen to customers. Nassim Nicholas Taleb reckons we are fooled by randomness, he could be right ? “Your board members are not your brainstorm buddies-find others you trust” – this is one very important lesson. Investors/board members in my experience hate a stream of new ideas when they have just invested in what they thought was a solid idea. Steve Jobs said “It is not the customer’s job to know what they want”. Not every product is the new iPhone, but we find this comment a good counterweight to the urge of reorienting the product roadmap after one challenging client call. So, you are founder CEO. If your decisions prove you right, you had a vision and pivoted well. I they prove you wrong in retrospective, you have hallucinations.pivoted rubbish. The problem is Hallucinations & Visions are very similar, if not identical. We label them after the fact. It is hard to distinguish them before the facts. This reminded me of the Subarctic Survival Situation that they teach at some Business schools. The situation is that you and your team are stranded in the arctic and you have to rank 15 items in order of importance for your teams survival. First each person ranks the items individually and then they get together in small teams and together they rank the items. The objective is to get a higher score of correctly ranking the items as a team than as an individual. They score the ranking’s against an experts to see how well they did. The group fails when any of its members has a better ranking than the overall team. However, often times the opinion of the most dynamic or talkative person in the group prevails to the detriment of the whole group. This means that a lot of bad ideas prevail while good ones get squashed. Studies in group dynamics suggest that this is exactly what happens a lot of the time. As i wander throogh daily musings i stumble on Steve’s Vision vs, Hallucination. Enjoy, i did. Great post Steve. I remember you said “you are done with your customer development stage if most of the customers are starting to give you the same feedback”. If Yuri was patient enough to check what other customers have to say and analyze the aggregation of the data instead of a case-by-case basis, then he will not have any problems. I think no conclusion should be made until interviewing at least 40 potential customers, that was your suggestion if I remember correctly. This was my reaction to the piece, also. 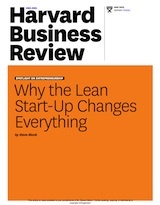 If a CEO is pivoting in response to every 1 feedback session, that doesn’t sound like Lean practice to me. I can think of at least three ways I could have pivoted our young company in response to the last five business days. Following Steve’s book, I wouldn’t dream of taking any action until the customer discovery process has been performed for each idea (hypothesis). Good stuff. I have found biz folks on a project inside a giant company are suseptible to the same bad habits; pivot is progress, change is progress, throw out everything again Is again confused as progress. Hard work and ability to change does not equal value creation. However, hard work and ability to change IS necessary for value creation. So it’s easy for folks to get confused about this stuff. And even easier when the negative reprecussions only effect ‘lazy’ production people. Every change in the direction of energy causes loss. So choose wisely more than frantically. Very interesting post. If it’s ok I’d like to reblog it. Thanks! 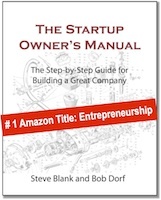 Awesome post and great book, its at a perfect time for us as a startup. I just realised that I was doing something similar, however the point where we are at, there are competitors offering low value offerings at low prices, and playing the price game is not where we add value. Our product offers great UI, top quality output, but is Pricey. India is a funny market, where people will pay if they see value, but we are not sure how we can get them to see that!! This follows on from ‘Listening to Your Customers’ – If you listen you can hear how you are doing. 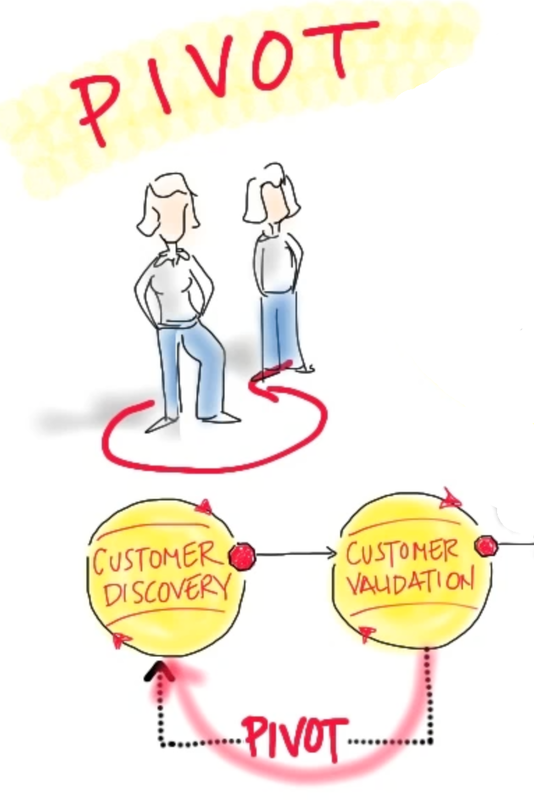 If customers want something else or they want you you to do something differently then PIVOT. Love your insightful articles and talk. and great to see you on Udacity! Many a times the customer also needs to be taught what exactly he / she is looking for. To know your customer’s business is more important than knowing your customer.